How come Japan’s fastest trains streak by at 313 miles per hour, while America’s swiftest train—Amtrak’s ACELA express—can run barely half as fast? On September 23, you’ll be able to find out why. 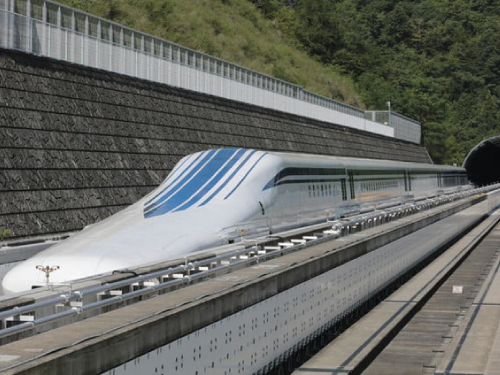 Central Japan Railway Company will be at KIDfest this year, as both a sponsor and an exhibitor, showcasing their state-of-the-art Super Conducting Magnetic Levitation (SC-Maglev) technology, the most high-speed ground transportation in operation today. Using the principle of magnetic repulsion, SC-Maglev trains levitate above the track, accelerating and decelerating through the magnetic force generated between onboard magnets and ground coils. At KIDfest, visitors can handle miniature SC-Maglev models and floating toys, and see videos showing Japan’s super high-speed trains in action. Company representative Rikuhei Daimon says he looks forward to meeting KIDfest visitors and answering their questions. “We would like to help Americans understand Japan’s unique SC-Maglev technology,” he says, explaining his belief that when our countries work together, we can build a better world. KIDfest 2018 is still accepting exhibitors and sponsors. For a chance to become an exhibitor, apply here. For more information on sponsorships, click here.